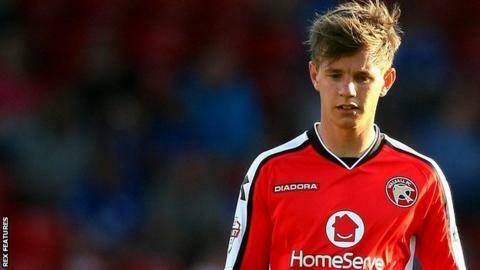 Mansfield Town have signed versatile Walsall attacker James Baxendale on a month-long loan, with a view to a permanent deal. Baxendale, 23, can play as a winger or attacking midfielder and has played more than 100 games in League One. But he has only started one match for the Saddlers this season, with five further appearances as a substitute. "He will add quality and guile to our attacking third," Stags manager Adam Murray told the club website. "We believe he'll give us that cutting edge with a final pass and end product, which we've missed in recent weeks."